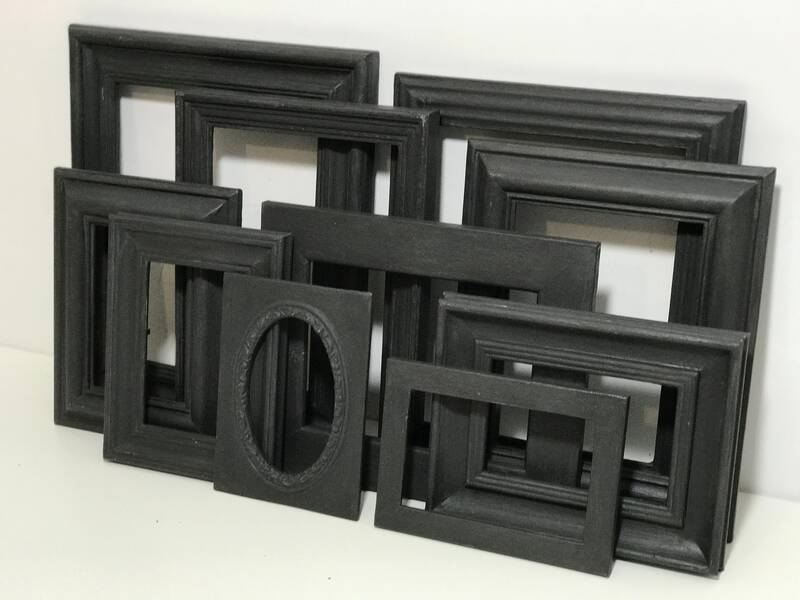 A selection of charcoal BLACK hand painted picture frames. 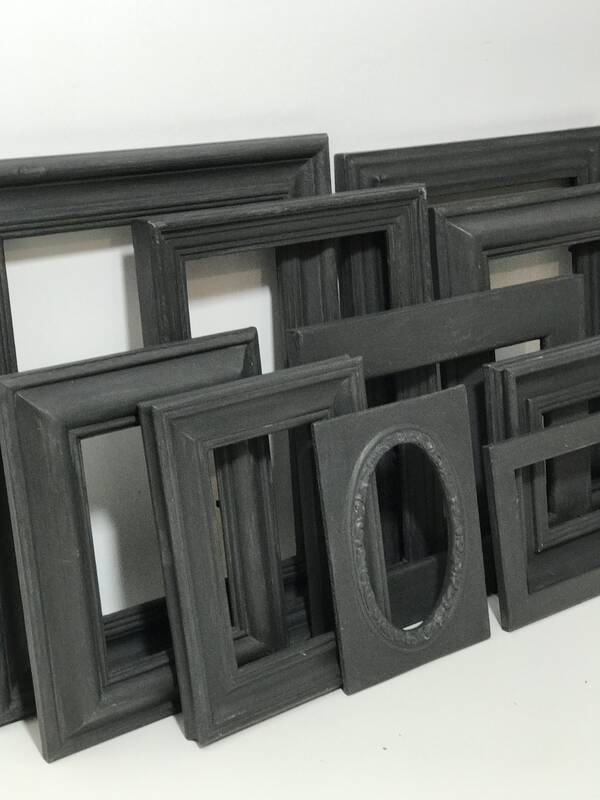 All frames have been hand painted in an eco-friendly chalk paint, distressed for an aged antique look and then waxed for a smooth silky finish. 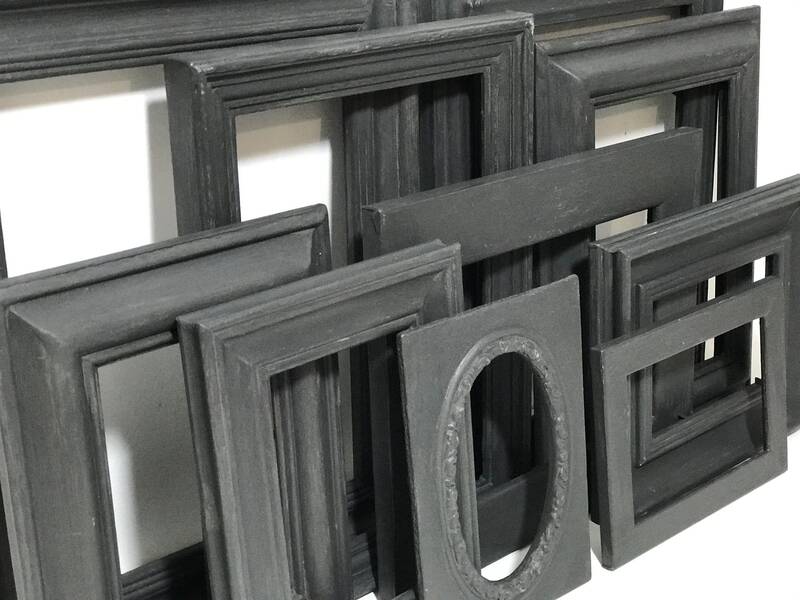 Painted picture frames make lovely wall decorations and a focal point in any room. 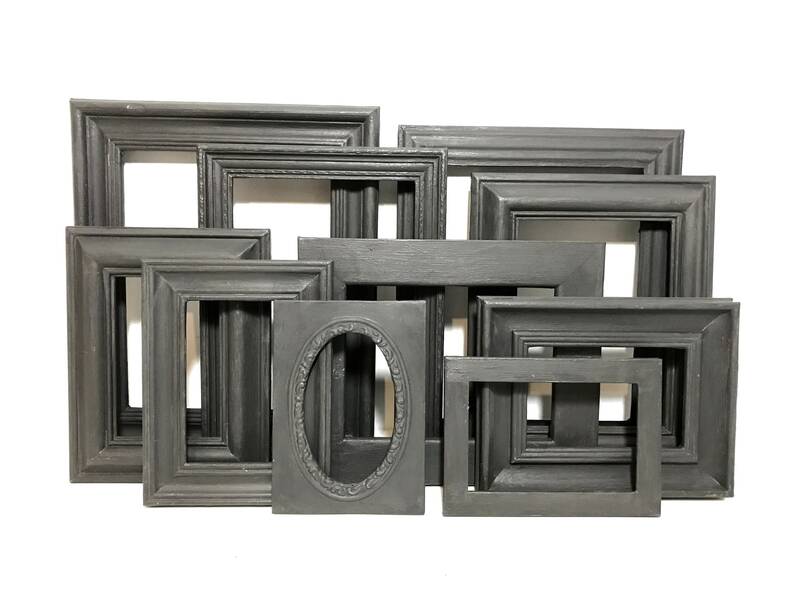 They make beautiful, decorative frame galleries in the hallway, stairs, landing. 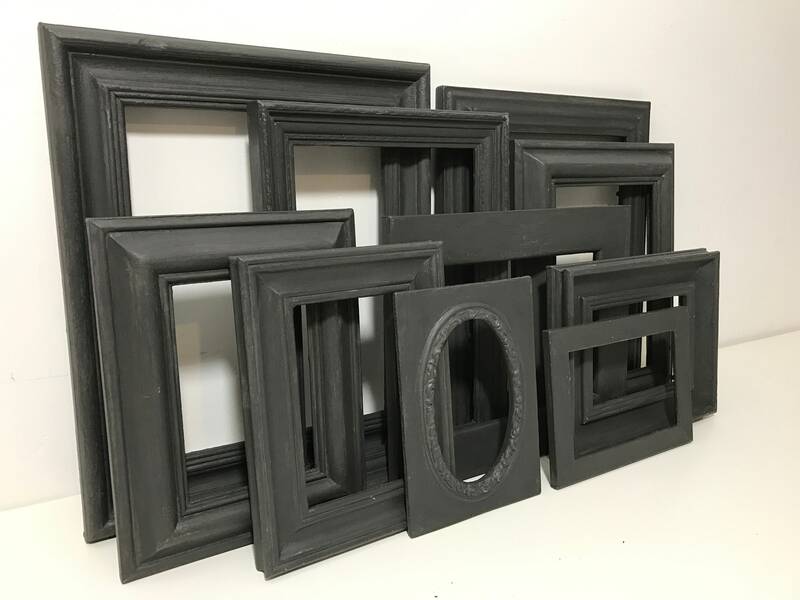 Empty painted frames make a great interior design accent! *Simply beautiful. Love how the order was beyond my expectation. *Amazing. Exactly as described. Fab customer service. 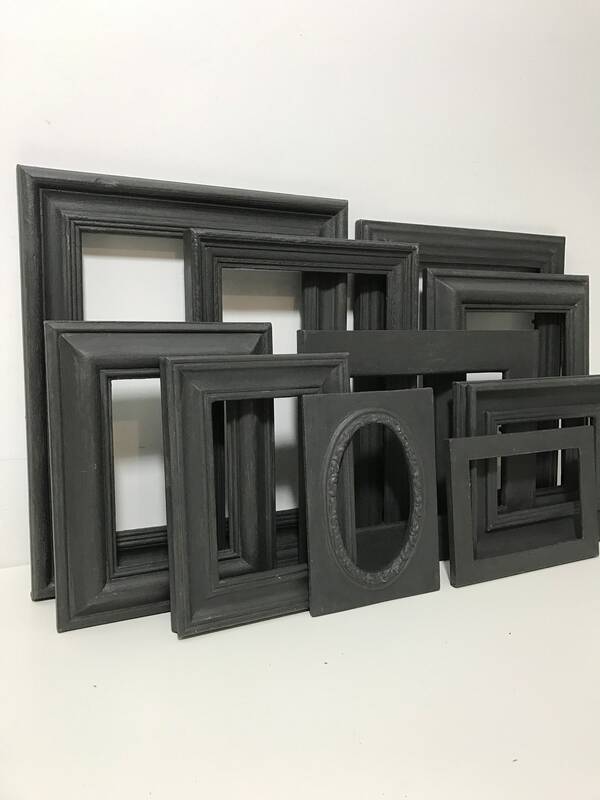 *Lovely mix of frames in colours requested! Thank you! 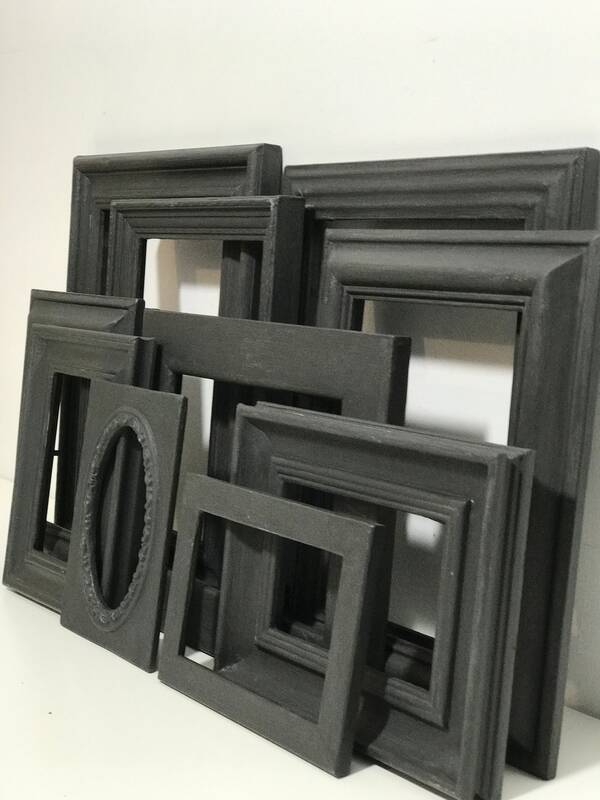 *This item was truly stunningly made great value for money and very kindly kept it for 3 weeks for me until I was ready. best I have ever dealt with thanks so much wish everyone was as kind as you! *It's so beautiful! I'm absolutely chuffed to bits with it thank you. And the packaging/delivery was wonderful too. 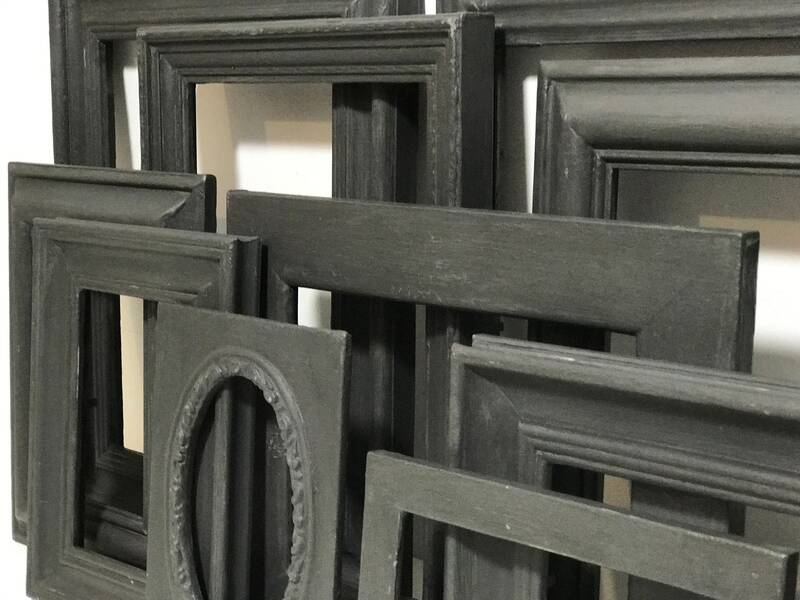 SHIPPING - Anthi Leoni Decor ships worldwide from the UK - Please provide a mobile number if you would like an ETA of delivery from the courier. INTERNATIONAL SHIPPING - Please provide a mobile / cell number for the courier. Prices indicated for international shipping are an approximation. Please contact me prior to contact with your country so I can quote accurately for shipping and combined shipping.